Agamemnon will be the sixth of seven nuclear-powered attack submarines designed and manufactured at the Company’s site at Barrow-in-Furness, Cumbria. Will Blamey, Managing Director of BAE Systems Submarines, said: “Securing the contract for the sixth Astute class submarine is a significant milestone for BAE Systems and the result of many years of hard work by our highly skilled workforce. Defence Secretary Sir Michael Fallon said: “This latest investment means we are well on our way to completing our fleet of Astute submarines. These are the most advanced submarines ever operated by the Royal Navy and are already providing unprecedented levels of stealth and attack capability across the world. The first three Astute class submarines HMS Astute, HMS Ambush and HMS Artful are currently in service with the Royal Navy with a further four in various stages of construction at the Barrow site. BAE Systems is the prime contractor responsible for the design, build, test and commissioning of the seven Astute class nuclear-powered attack submarines. It is also the industrial lead for the Dreadnought programme, the Royal Navy’s next generation of submarines that will carry the continuous at-sea nuclear deterrent. 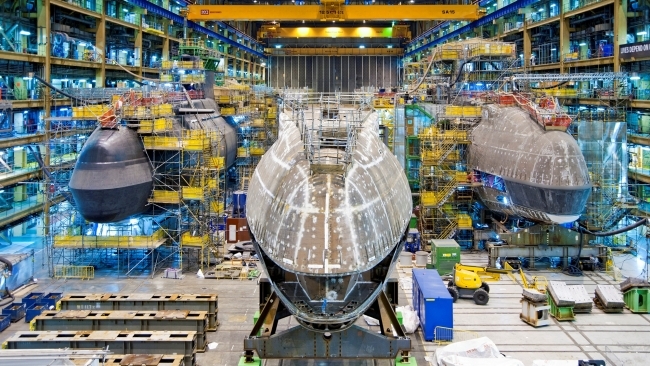 The Company’s submarine operation employs approximately 8,400 people and spends more than £300M per year with over 1,000 direct suppliers – 85 per cent of whom are based in the UK.